In an interview with CNBC’s Squawk on the Street, Kyle Bass, founder and manager of the Dallas-based hedge fund, Hayman Advisors, claims that shares of General Motors Company (NYSE:GM) are undervalued and could hit a high $50 per share in the next 12 to 18 months, despite possible liability from ongoing probe over the 303 deaths as a result of air bag failure in some of GM’s models, calling it an “investment distraction”. In its latest 13F filing, the company revealed a new position of 4.61 million General Motors shares, which amounts to nearly a fourth of the fund’s equity portfolio. Mr. Bass’ rationale lies in the fact that GM is “one of the cheapest companies in the Dow and in the S&P”, trading at an Enterprise Value to expected EBITDA ratio of less than 2.8. The company currently sells at a P/E of 14.5, nearly 15% lower than the average P/E for the Major Auto Manufacturers Industry. Other funds holding significant positions in shares of General Motors Company (NYSE:GM) are Warren Buffett‘s Berkshire Hathaway and Natixis Global Asset Management‘s Harris Associates, with respective holdings of 40 million shares worth $1.6 billion and 60 million shares worth $2.46 billion. 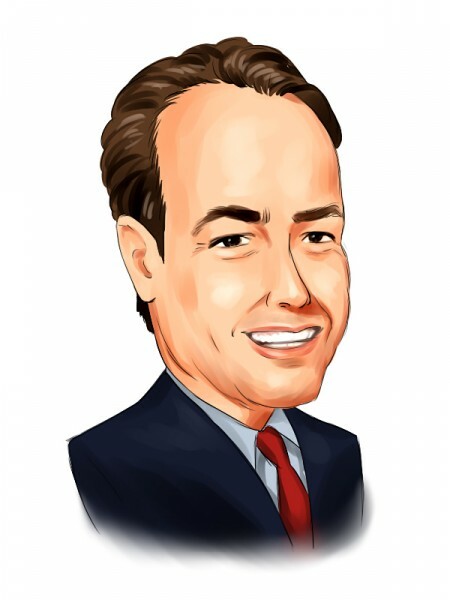 Kyle Bass is also positive regarding the prospects of Nationstar Mortgage Holdings Inc (NYSE:NSM). Recently increasing its holdings of the stock by 338% to 4.76 million shares, Hayman Advisors now holds roughly 5.30% of the company’s stock. During his interview, Mr. Bass told CNBC that he does not think that the letter that the company received from the New-York banking authorities requesting Nationstar’s mortgage practices in 2013 poses any threat to the company. Mr. Bass also claims “some of this has to do with political positioning in the state of New York”, and that in fact Nationstar are “the best in the business”, stressing that the hundreds of complaints the company has received in the letter is negligent with respect to the total of 2.3 million mortgage loans that the company services. Michael Novogratz‘ Fortress Investment Group and William B. Gray‘s Orbis Investment Management are two other large shareholders of Nationstar Mortgage Holdings Inc (NYSE:NSM), with 67.82 million shares worth $2.51 billion and 4.66 million shares worth $172.37 million, respectively.